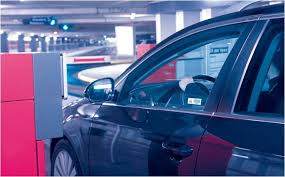 AVI (Automatic Vehicle Identification) tags are essential to the Parking Management system, so vehicles passing through the Hospital Garage, College Town Garage and/or surface lots can be identified. Access to the controlled areas for faculty and staff is obtained through pre-programmed devices, called AVI tags, that are placed on vehicle windshields. Communication between the tag and the gates in the lot/garages are automatic. Your AVI Tag should be placed on your vehicle windshield to identify you as a registered parker. If your AVI tag is lost or stolen or you need assistance with using your tag, please contact the Parking Management Center at 585.275.4524. There is a $30 fee for a replacement AVI tag.